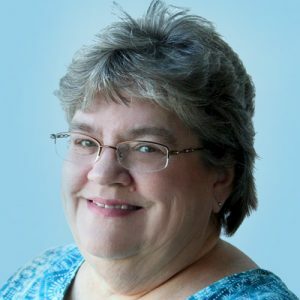 Welcome to United Way of East Central Iowa, Denise! Last week, Denise Henderson joined UWECI as the new Accounting Manager. Her role is crucial to the productivity of the office and we are excited to have her on board! Get to know more about Denise below. I grew up in NE Iowa on a small farm where we raised cattle and pigs—bailed lots of hay and picked up many rocks in the summertime. But driving the tractors was the most fun. I love to go camping with my family—sitting by the camp fire and cooking in the Dutch oven. I also like to do lots of different crafting projects, anything from painting to sewing. Since I do many crafting projects, the DIY and HGTV channels are addictive. I am always finding something new to create or repurpose. It’s a standing joke in my family that my boys have to remind me not to bring any more projects home! Both my Mom and Dad have inspired me to always work hard and lend a helping hand. It was important to always finish projects no matter how hard they were. Growing up, my grandparents lived in Colorado and we would go out and visit them in the summer. I can’t even count the times we drove through the mountains to see the buffalo and moose or camped in the snow. It will always be my favorite place. I have a beagle named Charlie! He loves to go camping and to play with the grandkids.